The most ancient part of St Giles' Church is the 12th-century chancel arch. The nave of 1330 is noted for its fine carved roof. 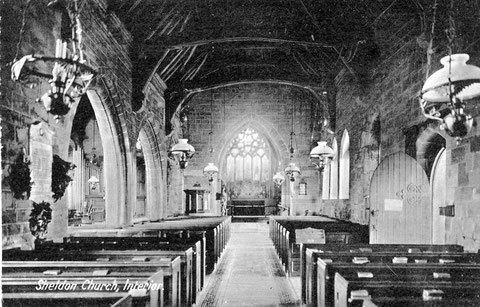 In 1867 a major restoration removed all 18th-century internal arrangements such as high pews and parts of the church were rebuilt to their medieval appearance. The church's own website is at - http://www.stgilessheldon.org/. See also A Church near You - http://www.achurchnearyou.com/sheldon-st-giles/. You might also be interested in - A History of Birmingham Places & Placenames . . . from A to Y - Sheldon - http://billdargue.jimdo.com/placenames-gazetteer-a-to-y/places-s/sheldon/. In the Domesday Book 1086 the manor of Sheldon is called 'Machitona', later Mackadown, and was held of Turchil, Earl of Warwick by Alnod/ Alnoth. Unusually both Turchil and Alnod were Anglo-Saxons who had managed to keep their holdings after the Norman Conquest. Since the Conquest most manors in the Birmingham area had remained at the same value; some had decreased in value. Mackadown, however, previously valued at 20 shillings, was now worth 40 shillings, having doubled in value, presumably thanks to the enterprise of the lord of the manor. The first recorded tenant was Ansel de Scheldon, who was lord of 'Makinton' in 1220. He may or may not have been a descendant of Alnod; the name at that date could either be a Norman or Anglo-Saxon. Ansel was succeeded by his son Henry de Scheldon, who in 1260 gave a house and 2 acres of land to William, the parson of Sheldon. Henry leased the manor in 1347 to John de Peyto Junior and his wife Beatrice. His family seems to have originated in Drayton, Worcestershire, but he also had property in Warwickshire, was related to the Earl of Stafford and a close associate of the Earl of Warwick. On his death he bequeathed money to the poor in Sheldon and elsewhere for the good of his soul. The patronage of the church stayed with the lord of the manor and so it was the lord’s right to put forward a candidate as rector to the bishop. 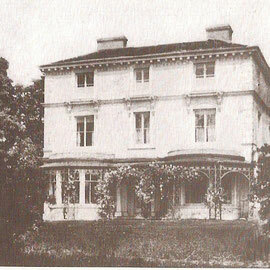 The manor and advowson passed through a number of hands coming into the Digby family in the 16th century and remaining with them until the 20th century. Sheldon Church is a typical Warwickshire country church and, for the most part, a surviving 14th-century building in red sandstone, this is one of Birmingham's ancient parish churches, and has Grade II* Listed status. In 1260 the lord of the manor, Henry de Scheldon, presumably of Sheldon (East) Hall, gave a house and 2 acres of land here to William, the parson of Sheldon. The church may date from then. However, the most ancient part of the present church is the chancel arch which dates from the end of the 12th century. The nave as it stands was rebuilt about 1330 and has a fine carved roof of that date. A 14th-century piscina is set in the nave wall at the east end. Above the piscina appear to be the remains of a medieval stone cupboard set into the wall. It may have been part of the structure of the rood loft or an aumbry, a secure cupboard used to store the communion plate and reserved host. In about 1350 the north aisle was added. 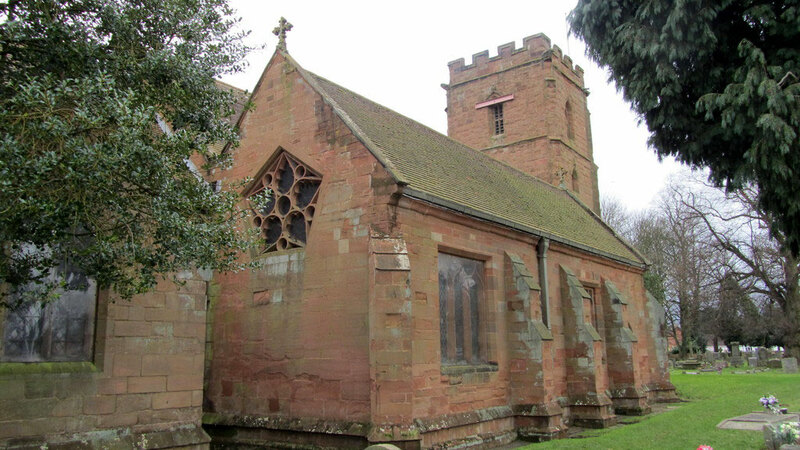 John de Peyto Junior was lord of the manor at that time and he built a chantry chapel dedicated the Virgin Mary and paid for a priest to pray for the souls of his parents and others. This is very likely the origin of the north aisle with the chapel taking up one end of the aisle. 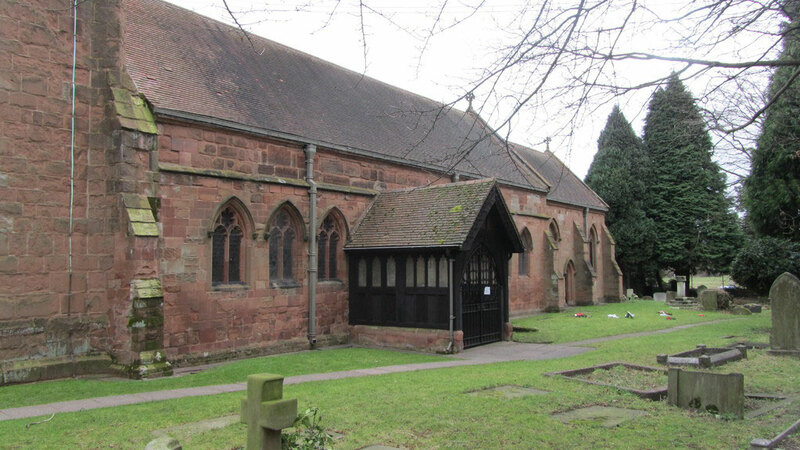 A house for the chantry priest was built adjoining the churchyard. 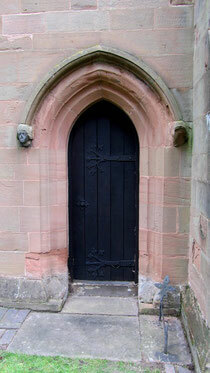 The north aisle was rebuilt in the 19th century, though it is thought that the doorway is the original. John de Peyto had been a benefactor of the Canons of Kenilworth (His father was the Prior). They, in return, paid the 8 marks a year for the maintenance of the chantry priest and 4 marks 5 shillings a year on Lady Day, 25 March for alms for the poor given for the soul of John Peyto Junior. 'Henry Ulm ye/he? of ?Hor/ ?sod M CCCC lxi  yt to begon'. 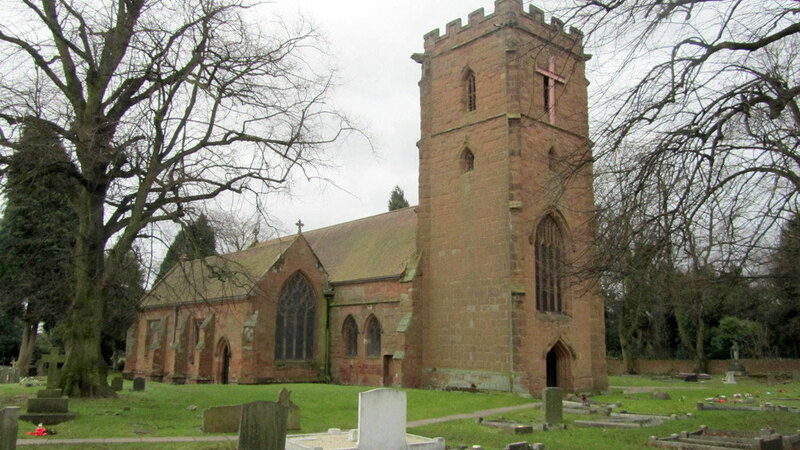 Henry Ulm also built the tower of Yardley church and possibly also that of Kings Norton. Horsod has not been identified. The timber-framed south porch was added in the early 16th-century; the south doorway is 14th-century. The church has a large oak parish chest dating from about this time which was used to store important documents such as the parish registers. In the north aisle is a pentagonal window, an unusual shape in a church and believed to be the only one in Europe. In 1704 a school building was put up against this wall. The window inside the church served no further purpose and may have been plastered over. The original window was replaced with this one in 1867 during restoration work presumably when the school building was demolished. The stained glass by Ward & Hughes of London dates from the 19th-century restoration. In the centre circle Jesus is shown holding up his right hand in blessing. Five windows surround the circle each depicting a seraph in a cloud, holding a scroll. At the outer edges five small circles contain symbols of titles for God. The reredos which was reset in the north wall of the north aisle in 1867 has suffered damage in the past. Believed to show the Annunciation, the figures were removed at some time, probably by Puritans during the 17th century or earlier or during the Civil War, but their silhouettes can still be seen. Its date is uncertain, but it may have stood behind the 14th-century chantry altar. In 1867 in a major restoration by William Slater, the nave and north aisle were partly and the chancel completely rebuilt. The chancel was rebuilt in 14th-century style. It is deflected to the north of the axial line of the nave to make a what is known as a weeping chancel, symbolic of the head of the crucified Christ fallen to one side. The chancel arch is square with the chancel and not the nave, so the wall and the arch were evidently rebuilt with the chancel. The arch may be of the early 14th century, but has been retooled and restored. Behind the altar is a stone reredos portraying the Last Supper which was erected in 1912 by the children John Burleton and Mary Jones-Bateman, the former a long-serving rector, the latter a long-serving organist. 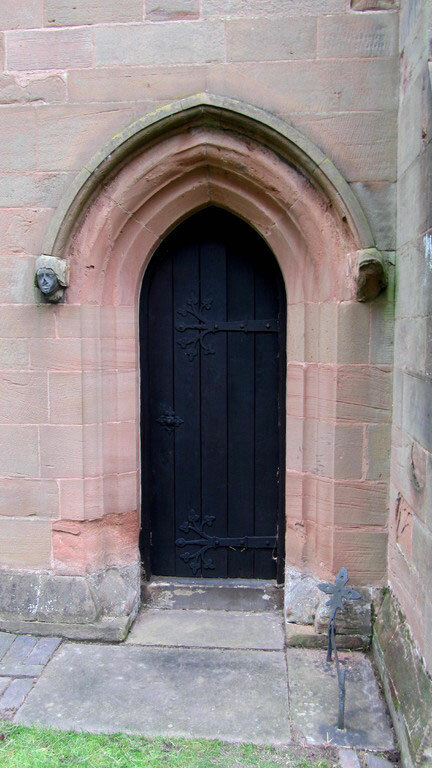 The only other items to survive the rebuilding of the chancel were the priest’s door on the south side and a low-side window which was reset at the west end of the chancel’s south wall. The purpose of such openings is uncertain and is still a matter of dispute. It may be that they allowed sight of the altar and the mass to a person considered undesirable inside the church. Hence they are often called leper’s windows. They are often set low, sometimes very low, and they do not necessarily give a view of the altar. Some, such as this one, are tiny, with an external measurement of only 4 inches high by 2½ inches wide. During the restoration it was noticed that the pillars of the north arcade were leaning outward. However, they were left unaltered in situ, although the arches between them were rebuilt vertically. In the south wall of the nave are seven similar windows in decorated gothic. However, only the easternmost, the fourth, and the sixth are medieval. Of the two windows in the north wall of the nave at the west end only the eastern is 14th-century; the other is similar though probably dating from the 1867 restoration. Almost all the stained glass dates from 1867. In 1867 the restorers also removed all the 18th-century internal arrangements such as high pews, a ceiling and galleries. There is an 18th-century external doorway now blocked in the north wall of the nave at its west end which may have led up to a former gallery. These elements were considered in the second half of the 19th century to constitute unchristian clutter which detracted from the medieval gothic. The church was restored largely to what was thought to be its medieval appearance. Still surviving from the 15th century is the octagonal font which has a carved blank shield on every side but one, suggesting that it originally stood against a wall. There are ten funerary monuments which were formerly in the nave and chancel. These were removed to the tower gallery in 1867. The earliest is dated 1724 in memory of Joseph Charman. There were formerly four bells here in an old oak frame probably of the 18th century, including the present 4th, 7th and tenor. The 4th was recast by Joseph Smith of Edgbaston in 1732; he also supplied and fitted new wheels and clappers and a new sundial at the same time. The fifth (now the 7th) was cast at an unknown foundry c1350 and is believed to be the oldest bell in Birmingham, and the tenor is by Thomas Newcombe of Leicester c1580. The old tenor cast by John Martin of Worcester in 1650 was sold for use as a single chiming bell at Hawes, Yorkshire. 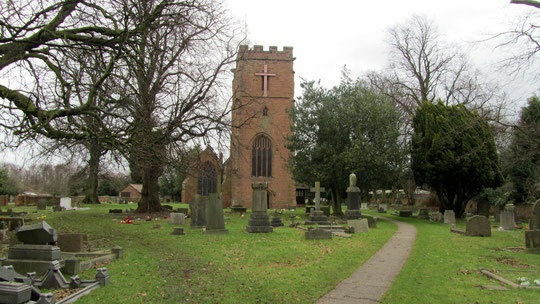 The ring was remodelled as six in 1992 with two new bells by Taylor's of Loughborough and a redundant bell from St Gregory the Great in Small Heath added as the treble. This bell was one of the last to be cast by Carr's of Smethwick. The ring was hung in a new steel frame lower in the tower with the old frame retained for historical interest. In 2010 two new trebles of 2007 and 2008 by Taylor's were added to make a ring of eight. The bells are rung from a first floor gallery which overlooks the west end of the nave. The burial registers date from 1558 but evidence was found during the 19th-century restoration that the churchyard had been used from medieval times. 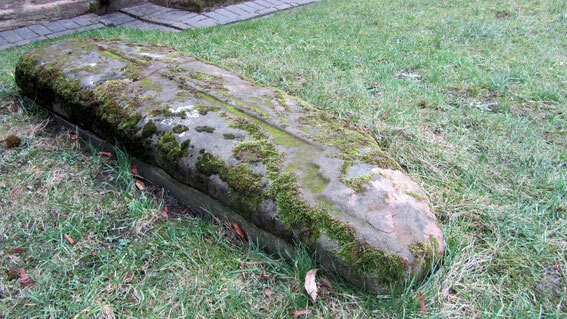 A 13th-century stone coffin lid was discovered carved with a plain cross. Such a coffin would have belonged to a person of some wealth, possibly the lord of the manor. The lords of the manor at that time were members of the de Sheldon family. The lych gate was erected in 1899 to mark the 50th year of Rev John Burleton Jones-Bateman’s incumbency here. He continued as rector until his death in 1910 at the age of 85. The avenue of limes in the churchyard are said to have been planted by him. South of St Giles' Church in the paddock south of Rectory Farm was a moated hall which may have been the medieval rectory. Earthwork evidence of a moat is discernible in the right conditions to an expert eye. 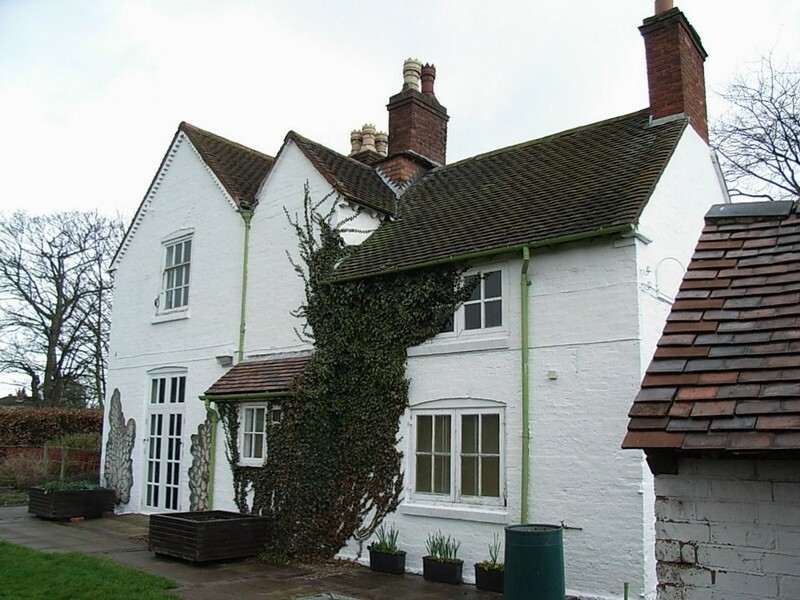 This was replaced probably in the 17th century by a timber-framed hall in Ragley Drive off Church Road now known as Sheldon Old Rectory or Old Rectory Farm. The timber-framing was infilled with brick in the 18th century and building rendered to its present appearance. The farm buildings and outhouses are part of Sheldon Country Park, a children's farm and the home of a variety of livestock. 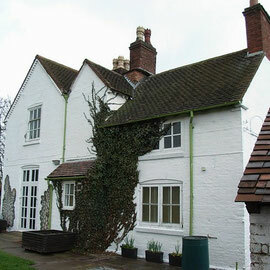 For forty years from 1690 the Rectory was the home of Dr Thomas Bray. He founded the Society for the Propagation of the Gospel in Foreign Parts and worked extensively in Maryland USA. A state flag in Birmingham Cathedral was presented in recognition of his efforts in promoting Christianity in the United States. He also founded the Society for the Promotion of Christian Knowledge SPCK in 1698 and was instrumental in setting up via the SPCK the National Society for the Education of the Poor in the Principles of the Established Church throughout England and Wales. Its affiliated schools known as National Schools were Church schools, many of which still exist, and precursors of the state system which was not set up until 1870. Sheldon House or Sheldonfield House, a large 3-storey building with many outbuildings and extensive grounds, was built in the 1820s, its main entrance via a long drive on the Coventry Road. It stood where Bayford Avenue is now. 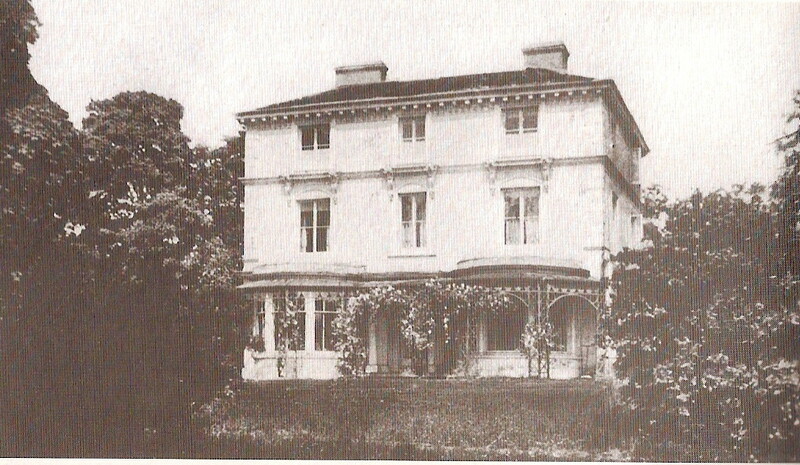 Rev Jones-Bateman moved into it as Sheldon Rectory in 1860. After his death in 1910 a new purpose-built rectory was built in Church Road; Sheldon House was sold for housing development as part of Cranes Park estate in 1929. Historic England website - https://historicengland.org.uk/listing/the-list/list-entry/1075647.